Posted on 3, May 2016 by EuropaWire PR Editors | This entry was posted in Austria, Chemicals, Education and tagged Borealis Scholarships, Mark Garrett, Vienna Campus of the worldwide Webster University network. Bookmark the permalink. 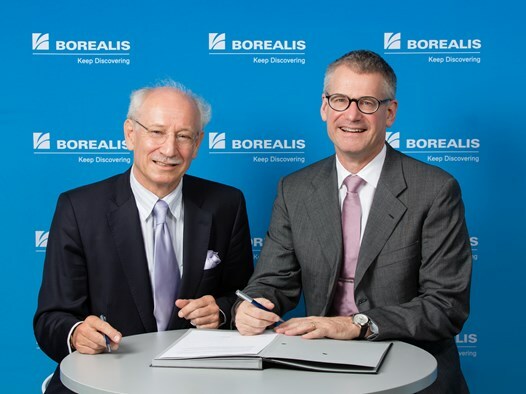 VIENNA, 03-May-2016 — /EuropaWire/ — Borealis, a leading provider of innovative solutions in the fields of polyolefins, base chemicals and fertilizers, and Webster Vienna Private University, the Vienna Campus of the worldwide Webster University network, announce the establishment of the Borealis Scholarships endowment. The scholarship and grant package is the most extensive in Webster Vienna’s 35-year history. Three top-performing undergraduate students in three consecutive academic years will receive merit-based Borealis Excellence Awards each to partially cover the cost of tuition fees.